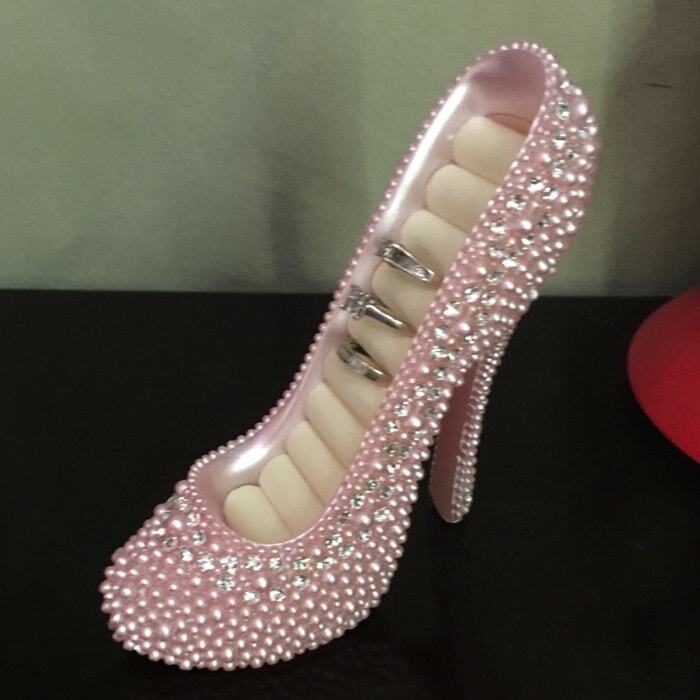 If you didn’t know shoe accessories as high heel shoe ring holders existed, you’re not the only shoe addict in this category. You can buy these beautiful jewelry organizers at Amazon. For shoe lovers, it’s the cutest way to store your rings, which will all look beautiful lined up in one of these adorable shoes. 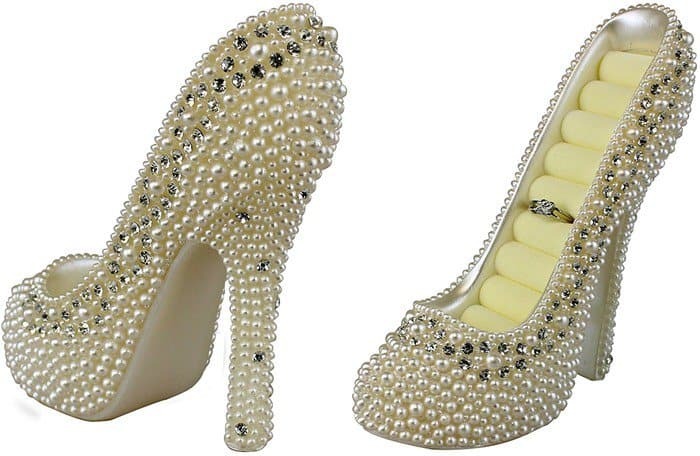 Perfect for a bridal shower or any kind girl party, these shoes will hold up to 8 rings each. My wife is a shoe lover, so I can’t go wrong with buying anything shoe related. She loves this ring holder, especially since she really likes the color pink (yes, she’s a girly girl!). She’s able to display something that is both functional and makes it convenient for her to grab her favorite rings. It’s well made, the one we received was not missing any of the pearls or crystal pieces. I didn’t even know something like this existed until I stumbled upon it the other day. 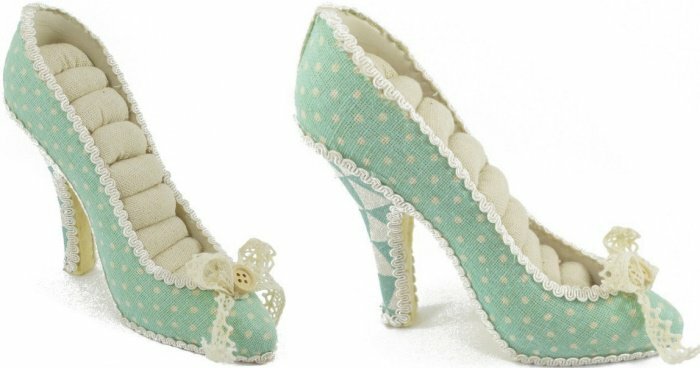 It’s the cutest way ever to store your rings, which look beautiful all lined up in this adorable shoe. Too awesome for words and definitely worth the price. The cushion spaces can accommodate 5 rings separately. 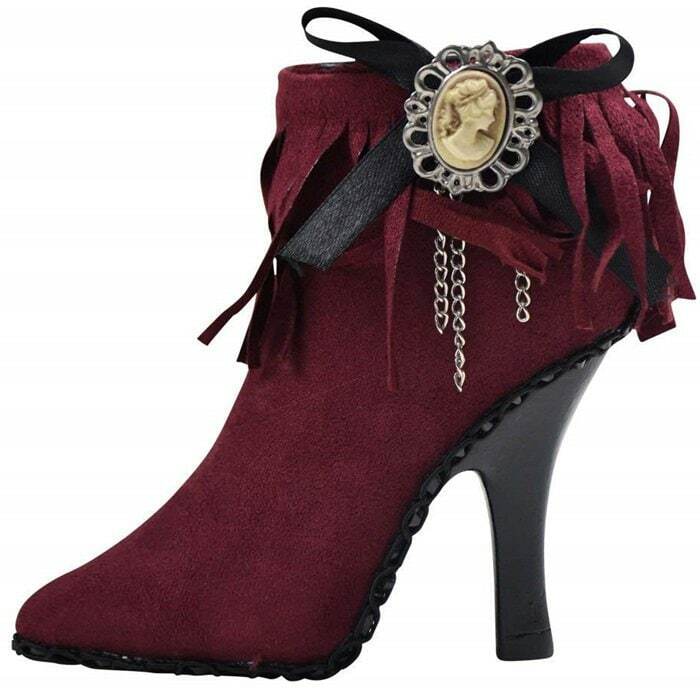 This bootie jewelry organizer is also available in pink and olive.